During the first five years, 85 percent of your child’s brain is developed, making this a critical time in his or her life. Having healthy environments and positive experiences during these early years can really help your child start strong and go on to succeed in school and life. The information below has been republished with permission from Mom Enough, a weekly talk show and great online resource for parents. You can find them, and more from mother-daughter co-hosts Marti Erickson, Ph.D. and Erin Erickson, DNP, MPH, online at MomEnough.com. A child’s first environment is the womb, and its quality depends on good maternal nutrition and avoidance of tobacco, alcohol and other toxic substances. A healthy birth also is influenced by prenatal care — not only formal medical services, but informal support and care for the mother-to-be. Babies thrive when they have caregivers (especially parents) who respond sensitively to their cues and signals, fostering a strong sense of security. Within safe, predictable, loving relationships babies develop trust in others and confidence in their own ability to express needs and solicit the care they need. Soothed and comforted at times of distress, young children begin to develop the ability to calm themselves and, over time, to regulate emotions and impulses. Self-regulation is central to a child’s ability to focus attention, accept direction, and get along with others — essential skills for school and life. 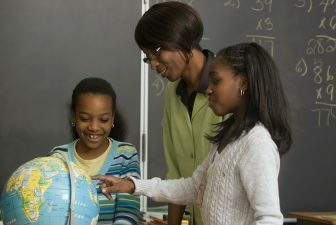 This means having caregivers who talk to a child long before he or she can talk back; engage the child with stories, songs and rhymes; ask “why” and “how” and “what if…” questions that stretch the child’s mind and vocabulary; and introduce the child from the earliest months of life to the rich, expansive world of books. The child most likely to thrive and succeed has been engaged as an active, joyful learner, discovering the wonder and power of the spoken and written word. Infants and young children are naturally curious and eager to explore. They learn and advance their own development through active exploration and mastery of the world around them. Especially with encouragement and sensitive guidance from adults who support the child’s growing autonomy, an actively exploring infant or toddler builds motor skills, develops confidence and initiative, and learns important cognitive concepts such as cause and effect or the properties of — and relationships among — different objects. Even though children often raise a fuss when their desires are thwarted, without limits they feel insecure and overwhelmed by their impulses. Without clear limits, young children will be hard-pressed to learn to set reasonable limits for themselves as they get older. To learn and grow optimally, young children need limits expressed in clear, developmentally appropriate language; simple reasons that teach the value behind the limit (e.g. “That’s dangerous” or “He feels sad when you take his toy”); natural or logical consequences when they violate limits; and recognition and encouragement when they behave positively. These lessons are magnified when, after a child misbehaves, adults help the child think about what she could have done differently and what she can do the next time a similar situation arises. The older children become, the more they are required to make decisions and handle tasks without adult supervision and guidance. Preparation for that increasing independence begins early in life — even with something as simple as a toddler’s choosing which of two healthy snacks she would like or deciding whether she wants to wear the red shirt or the blue shirt. And when a preschooler puts his toys away before a trip to the park or helps clear the table or fold laundry, he is building life skills and discovering he contributes to the common good. Abuse, both physical and emotional, has devastating consequences for children’s development. Witnessing violence also does long-term harm to children. Longitudinal research shows that violence teaches young children the roles of both victim and perpetrator. Without appropriate intervention, these destructive patterns are likely to continue into future generations. Extreme stress and trauma have not only psychological but also physiological effects on young children. Early exposure to stress and trauma, especially when not buffered by the presence of a sensitive, loving caregiver, affects brain chemistry in ways that undermine emotional regulation and thought processes. 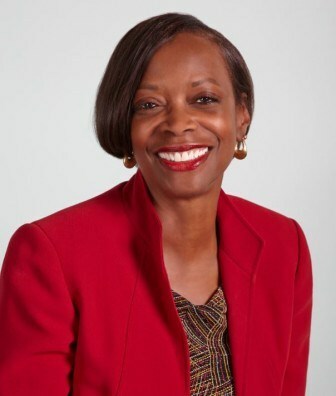 Carolyn Smallwood is the executive director of Way to Grow, an early childhood education nonprofit in Minneapolis working to ensure that every child has an equal opportunity to succeed in school and life. Carolyn Smallwood is the Executive Director of Way to Grow. Since joining Way to Grow in 2004, Executive Director Carolyn Smallwood has pledged to be the voice for all Twin Cities children. Always focused on greater issues, Carolyn has served as vice president for Sales and Marketing at Twin Cities Rise! and executive director of the Minnesota Minority Supplier Development Council. Visit http://waytogrow.org for more info on Way to Grow.